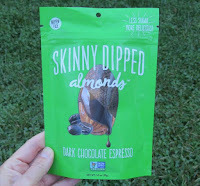 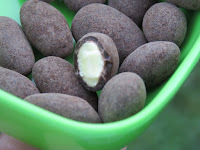 Today's Espresso Dark Chocolate Skinny Dipped Almonds were distributed by Wild Things Snacks, Inc. (Seattle, WA). 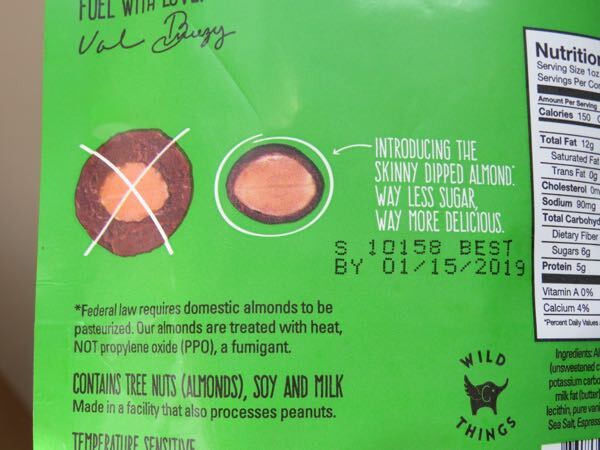 This offering was part of a family of Skinny Dipped Almonds—a re-imagined line-up of chocolate-coated nuts. 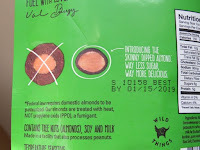 A graphic on the back of the package showing a cross-section of these almonds (compared with traditional chocolate covered almonds) helps illustrate what Skinny Dipped means (less sugar, more almond). These lightly roasted almonds, seasoned with a very light touch of maple sugar and sea salt, were covered with a thin (skinny) layer of dark chocolate and a very subtle sprinkle of espresso. 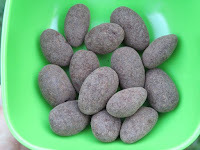 They had a pleasant, relatively mild, natural aroma, flavor and crunchy texture.